Strange Relationship: Prince's Sign o' the Times at 30. Though he was already an indomitable musical force, by 1986, Prince Rogers Nelson was at a crossroads. Two years removed from the gargantuan success of Purple Rain, music journalists were rather indifferent towards his follow-up album, 1985’s Around The World in A Day. While critical response towards his next album, 1986’s Parade fared much better, the catastrophic failure of the album’s accompanying film, Under The Cherry Moon loomed negatively over the era. Further complicating matters was a fractious relationship with then fiancé Susannah Melvoin, and increasingly volatile relations with his backing band The Revolution. It is often said that the greatest examples of art are bred from chaos and pain, and with the dissolution of his associations with Melvoin and The Revolution, the result formed into what was easily the greatest album of Prince’s career, 1987’s double album, Sign o’ the Times. While sales for Sign o’ the Times were lower in comparison to its predecessors, it was widely heralded as Prince’s masterpiece. Sign o’ the Times is among the most eclectic and consistent of Prince’s catalog, and showcases his voracious creativity. It is at certain points seductive, childlike, serious, and introspective, and bends the social constructs of gender, class and time. In the midst of all the different themes of the album, the work still manages to remain funky and engaging. Starting with the sociopolitical title track of the same name, we find Prince muse about the global impact of AIDS (which at that time was still very new and feared). He also touches the widespread effect of drugs on inner cities, the lack of governmental intervention towards the rise of gang violence, and the need for anti-gun legislation. Thematically, the song is quite reminiscent of Gil Scott Heron’s “Whitey On the Moon,” in which like Heron, Prince uses his words to illustrate the frustration towards the lack of prioritization towards fixing the poverty issue in America. Like he does in “Times,” the track “The Cross” draws upon inspiration from the world to address the themes of class; this time, in relation to the idea that at the end of the day, God saves all, regardless of who or what you are. The fact that this song was written far before his conversion to the Jehovah’s Witnesses is representative of his ever-present spirituality, and connection to a Higher Power. At its core, Sign o’ The Times truly blurs the concept of genre, as it is as much of a funk record, as it is a rock record, and an r&b album. The project displayed Prince’s voracious need to create, while simultaneously producing high quality tracks that are simply timeless. Deep cuts such as “The Ballad of Dorothy Parker”, the James Brown inspired bop, “Housequake”, the funky track “Hot Thing”, the quirky “Starfish & Coffee,” and the Sheena Easton assisted, “U Got The Look,” are true masterpieces that have lived far beyond the time period in which they were created. The execution of the double album is truly seamless; the irony in that being that originally, the content was created for three separate projects. 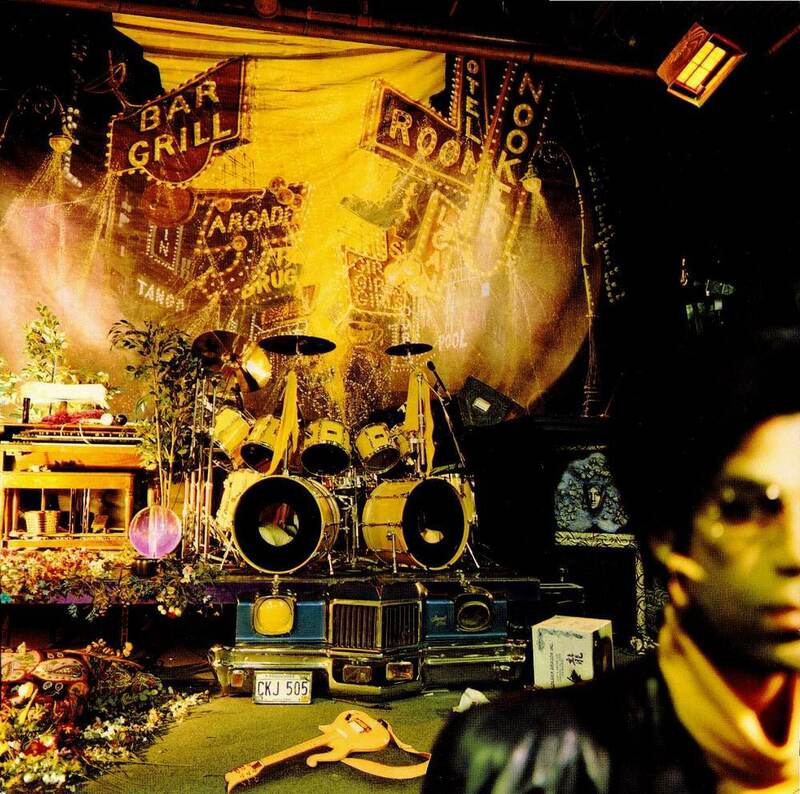 Prior to the dissolution of The Revolution, Prince simultaneously worked on three different albums; the heavily Wendy and Lisa involved Dream Factory, the concept album, Camille, (which was to be released under a female alter ego of the same name), and Crystal Ball, which was eventually released as a triple album in 1998. The fact that the all the album’s tracks, in their varied origins, congealed so well together is such a testament to Prince’s sublime talent. Instrumentally, the record featured Prince’s newly formed band, (informally known later as the Lovesexy Band).This iteration of his backing crew exceptionally fills the void left by The Revolution, and in my opinion, produced a more sophisticated sound. With contributions by iconic drummer Sheila E, (who also served as musical director), late singer and keyboardist Boni Boyer, guitarist Miko Weaver, and bassist Levi Stevens, this iteration of his crew is my favorite band that Prince worked with. Fight me if you feel otherwise. Love was a consistent inspiration for Prince’s music. It was out of love, (more so the many stages of it), that spawned my favorite Prince cut, “If I Was Your Girlfriend.” The song, which played with the idea of gender fluidity long before it became common, finds Prince questioning why his woman can’t have the kind of relationship with him, that she has with her female friends. He lyrically goes as far as to say that if he were a woman, him and his lover would be far happier together. For many, the song is a strange one, as it centralizes around a heterosexual relationship, in spite of the change in gender of the protagonist. Yet, it presents a certain vulnerability that made Prince’s mystique all the more alluring. Another notable track, “Strange Relationship,” was originally conceived as early as 1982, and over the following five years experienced many rewrites and edits. This track, though not as well-known as some his biggest hits, is easily one of the best of his career, as he touches on the toxicity of his relationships, much like the ones he experienced both privately and professionally. Other songs, such as the signature ballad, “Adore” and “Forever in My Life,” round out the narrative of the album regarding the loves and losses of Prince’s life. In the wake of Prince’s tragic passing nearly one year ago, the need for nostalgia is more present than ever. While the decision to stream his music on apps such as Apple Music, and Spotify, have left longtime fans understandably angry, the silver lining in this newfound accessibility is the fact that his work can be treasured exponentially more. Whether this accessibility is degrading to his memory is up to personal opinion, however, what is undeniable is the fact that the need to preserve his legacy is needed more now, than ever before. At the end of the day, this album, in all of its imperfect paths to existence, is perfect. It’s a sublime blend of sensitivity, defiance, introspection, and outrospection. 30 years of existence have endeavored to make it all the more endearing, with themes that still apply to the woes of the world of today, and the emotional experiences applicable to everyday life. Ultimately, it is a labor of love. Thank you for a funky time, Prince.